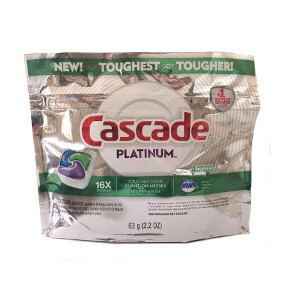 63 g (2.2 oz) Automatic Dish Washer Detergent in sealed package - 4 Fresh Sent ActionPacs™. With grease fighting power of Dawn. Tougher than Burnt-On Messes, No Pre-Wash. Phosphate free.